Welcome to the Bunny Kingdom artist community. This is a place for artists of all ages to come and share, whether you're a professional, intermediate, or beginner. We have many topics for discussing artists, techniques, schools, and more. You can choose to enter the monthly art contest, or post a drawing for critique. 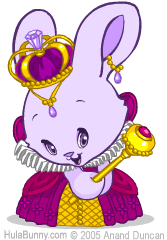 If you are not an artist, you can make some new friends, and enjoy creating your own Bunny Character.